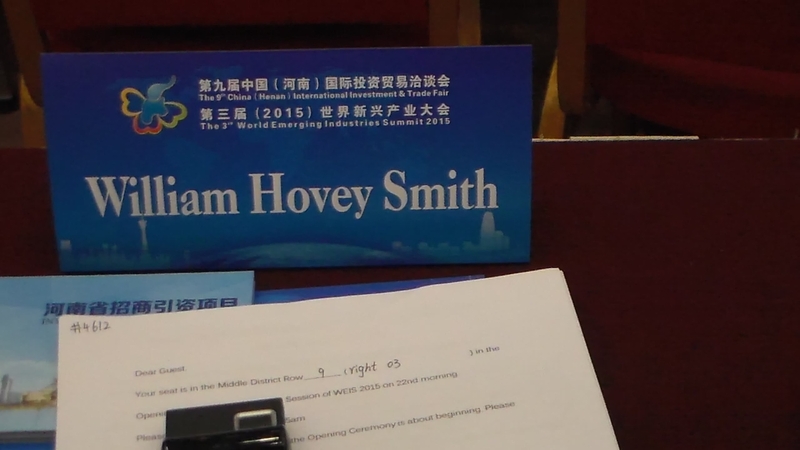 I was invited as a guest of the Peoples Government of Henan Province to be a delegate, and I thought to speak, at the 3rd World Emerging Industries Summit that was held in Zhengzhou April 20-23. Although I had prepared a presentation and poster on “Finding the Creatives in Your Corporation or Country,” when I arrived I found that I was not on the speakers’ list. I also discovered that I was not the only one who had likewise prepared materials for presentation; but was not to speak. Those who know me are aware that I often take an unusual approach to my writing assignments and speaking gigs. I had previously decided to appear at the event in a cooking smock to illustrate that the “Creatives” that I was talking about could look quite different from the majority population. Even through I did not speak, I wore my cooking outfit to the event, and, outside of high party officials, was the most photographed delegate there. Concurrent with this event, the 9th China (Henan) International Investment and Trade Fair was held in the same exhibition hall. This I also attended and was treated like a visiting VIP, which my convention badge said I was. 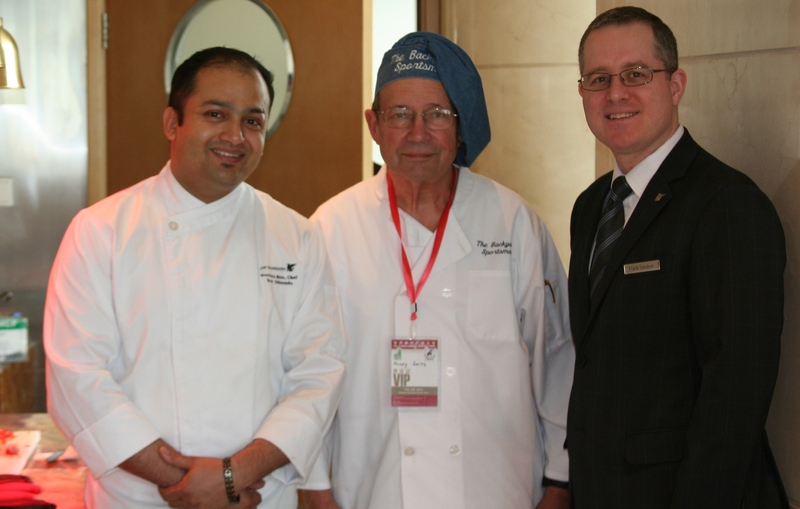 Hovey, center, with Chef and Hotel Manager. 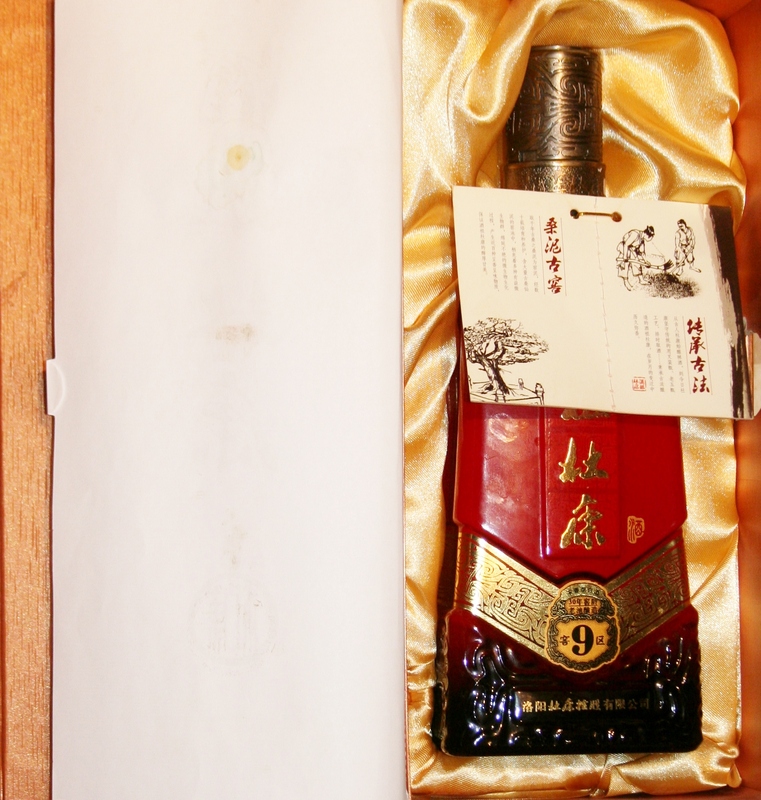 I was allowed to freely serve these Spirits to the badge-displaying delegates while describing it as having a strong taste of bamboo and of the finest machine oil used for drilling high-strength steels that had been allowed to age for six months in a zinc-lined vat filled with used Diesel engines and carefully filtered to yield the crystal-clear deeply aromatic product that they consumed. None of those who tried it disagreed with my assessment of this product’s taste. This event cemented then idea among those I met that I has an honest guy who told things just as they were, had some fun doing it and might be an appropriate person to someday do a deal with. An immediate result was that I was invited to speak on a topic of my own choosing at a Forum on Sustanble Cities to be held in Vienna in October 22 nd 23 as an all-expense paid guest, and I am now booking paid speaking appearences elswhere in Europe around those dates using the contacts that I developed. You can see and hear my presentation on “Finding Creatives” and how the successful discovery and culture of these indviduals can bring more national wealth than a new gold mine or oil field at far less environmental and capital costs by looking on YouTube. A Google of “Hovey Creatives” will bring it up. Other vides from the trip include, “The Terrors of Chinese White Spirits for Visiting Businessmen and Diplomats,” Dinosaur Eggs for Breakfast,” “Multinational Cooking at the Zhengzhou Marriott” and “Guerrilla Marketing for a Stranger in a Strange Land.” Other related videos will follow in coming months as they and individual business ideas are developed. These will include ventures in book publishing, knife making and developing new muzzleloading guns.